Stir in all the marinade ingredients and marinate the pork fillets for at least 2 hours. Dry the boiled leeks with kitchen paper and purée them together with the rest of the skordalia ingredients in a blender. Add salt and pepper to the fillets and sauté them in a pan until golden brown. Then roast in the oven. Take some of the marinade and boil it a little until the sauce has reduced and thickened. 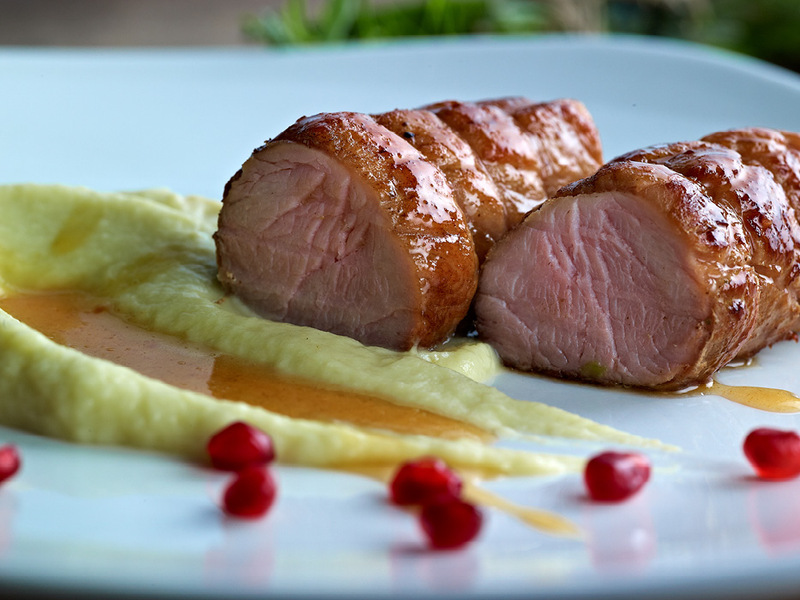 Serve the pork fillet on top of, or next to, the leek skordalia, add some sauce and sprinkle the pomegranate pearls.